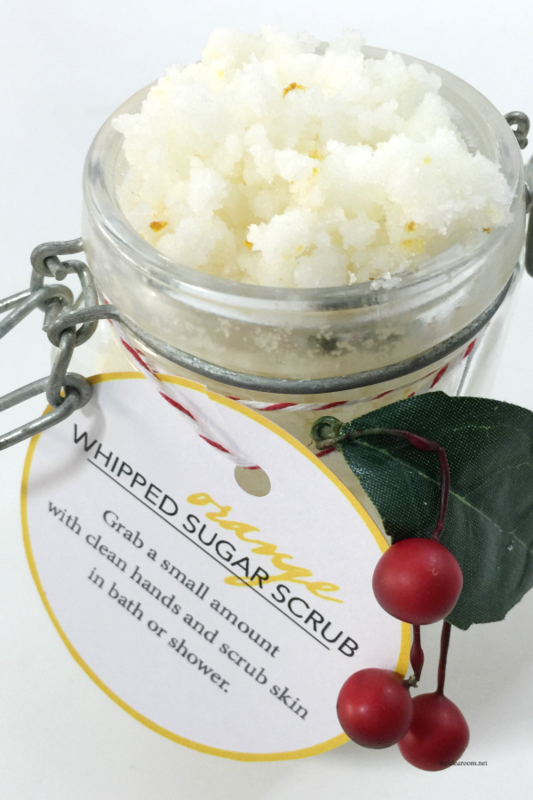 Tis the season for another Sugar Scrub Recipe! I am obsessed with them this time of year. It is probably because my skin is so dry in our winter weather here. 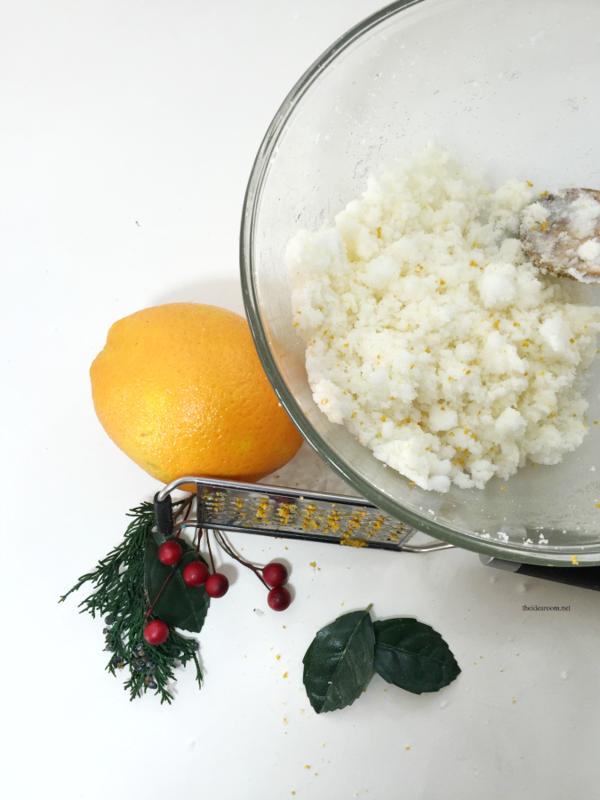 Here is one perfect for the season…Christmas Orange Sugar Scrub Recipe. 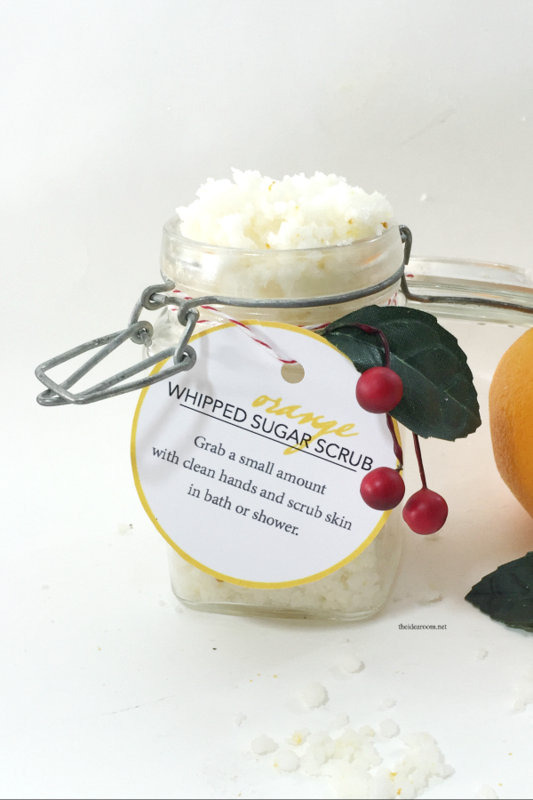 If you love the smell of citrus as much as I do, you are going to love this one! It leaves your skin smelling so fresh and clean. 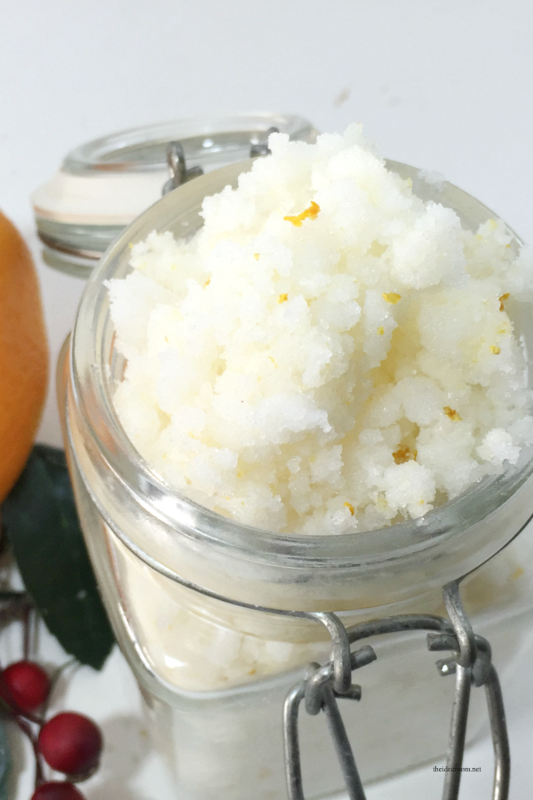 With small bits of real grated orange peels, this scrub has a beautiful appearance in the jars making it almost too pretty to use…almost! You might need to double the batch though so you actually have some to give away because you might want to keep it all for yourself…and there isn’t anything wrong with that! Add your orange essential oil and mix well. It is so easy to make and makes a beautiful gift idea. And of course, I am sharing some free printable orange sugar scrub labels with you. 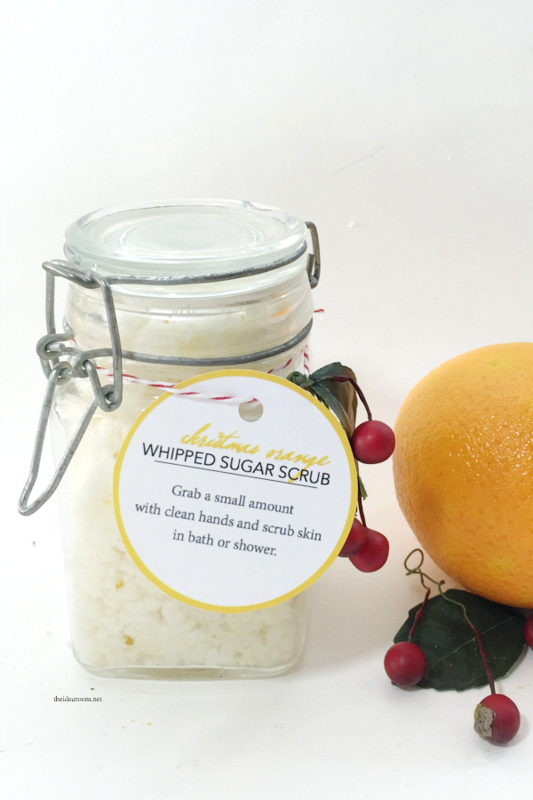 If you are giving it away for Christmas, I made a Christmas Orange Sugar Scrub tag. But if you end up giving it away or using it at a different time of year, I created a label that leaves out the word Christmas! To download the labels, simply click on the links below. As always, these labels are provided for your personal use only. Do NOT resell, redistribute or repost these on your own sites, stores or craft stores. They are my copyrighted work. Thank you so much! Did you like this post? I would love for you to pin it! Yes I do love your idea, can we use a different scent? Yes! Any scent should work! You can find solid coconut oil at any grocery store. I noticed you no longer have the orange zest in the recipe, although it still appears in the article. 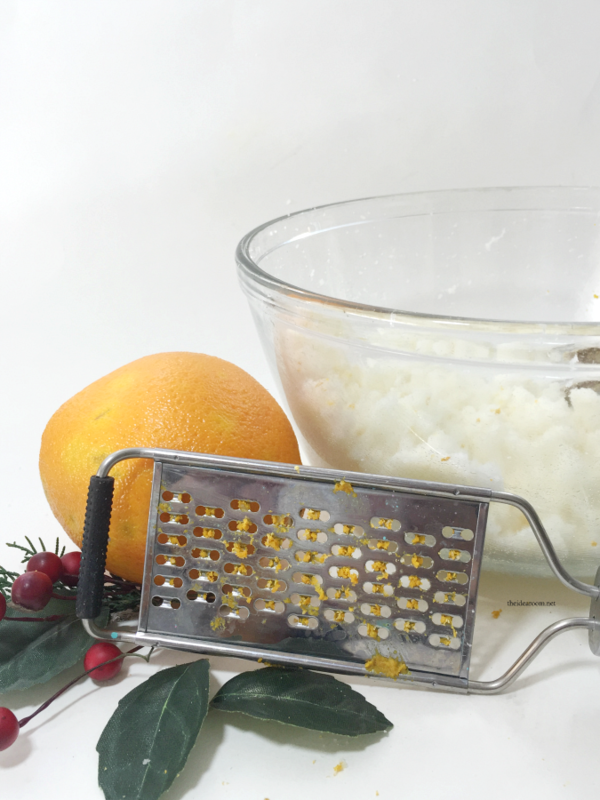 Is there a problem with using the orange zest? It is optional. It is mainly for the beautiful appearance and smell.